So here's a DIY tutorial to make a simple star lantern. 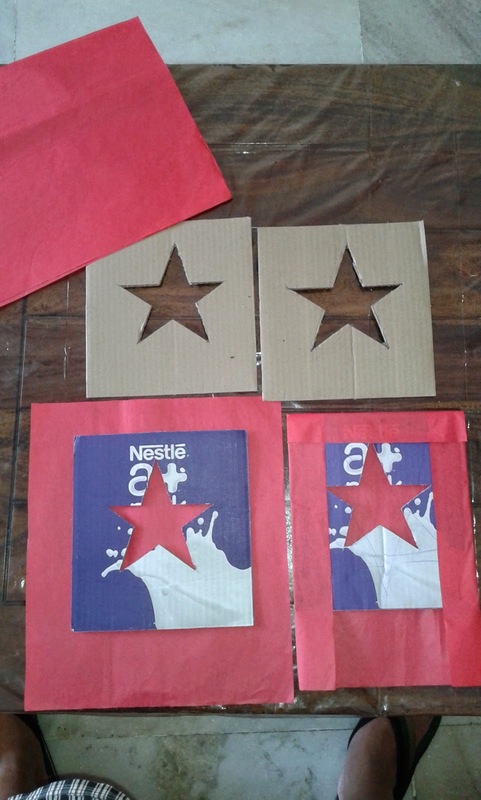 Step one: I used 4 equal sized cardboard sheets (from milk cartons, I realized later that you could just buy some from the stationary store) and cut out a star in each of them with a paper cutter & scale. 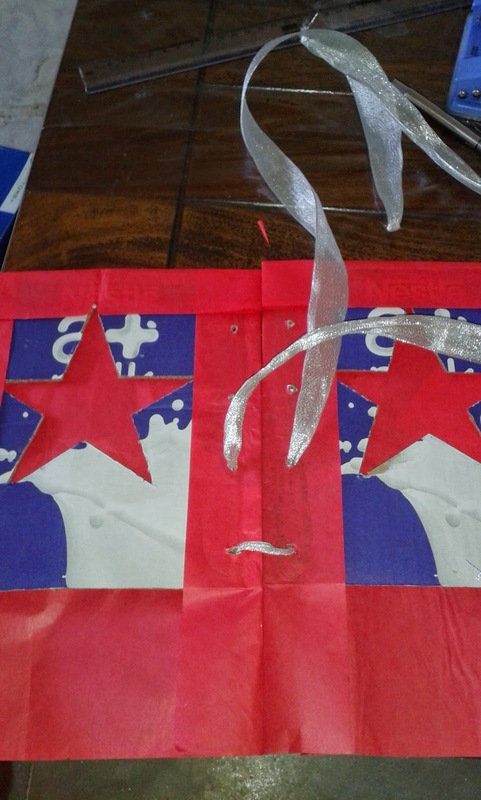 Step 2: Then pasted red kite paper on each of them individually (so the red paper covers the star cut out and the light shines through it when it's finally ready). I kept extra length at the bottom and snipped that part into frills. 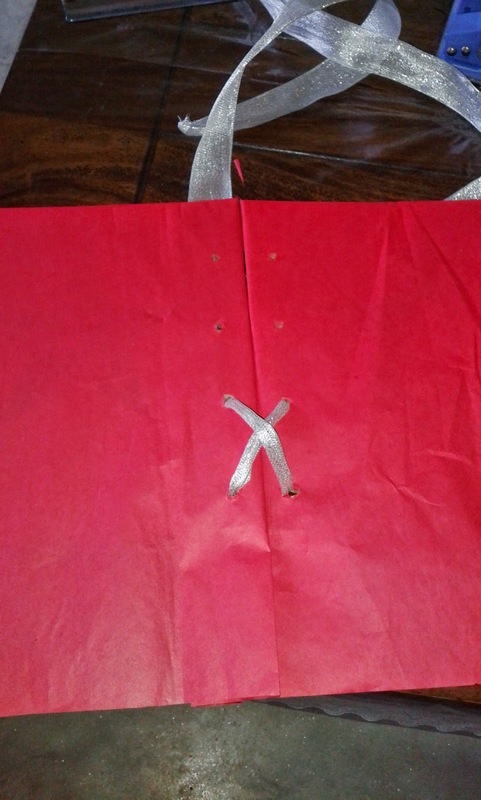 Step 4: tie the two cardboard sheets together with a silver ribbon in a shoe lace pattern leaving plenty extra ribbon on top. Eventually tie all 4 cardboard sheets together to resemble a box. 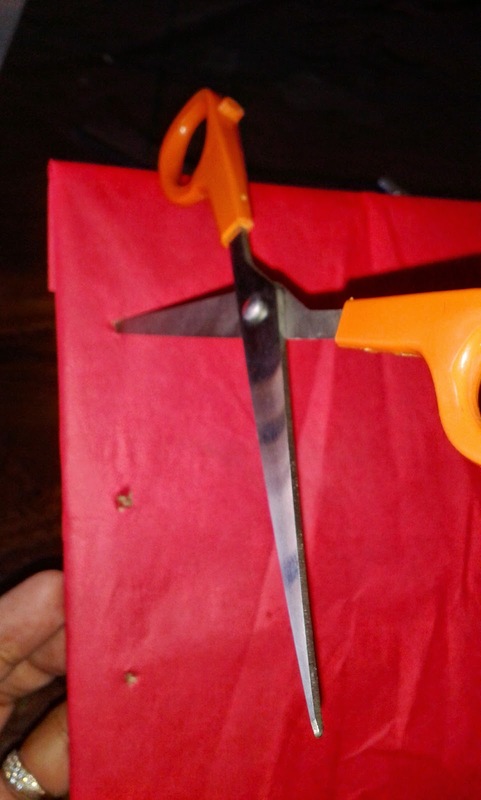 Tie the extra length of ribbon together on top which can be hung over a nail. Add some more jazz such as a few more ribbons that fall freely from the lantern. 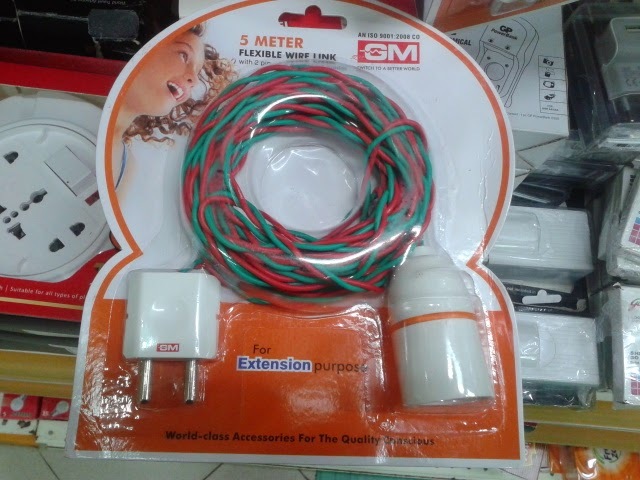 Step 5: for the light part, get the following from the electrical shop: a plug, long wire (choose color and length as per your balcony), an adapter for bulb, a bulb. Or a Flexible Wire Link such as the one in the picture. This can be tied to the lantern. Different type of material can be used following this method, e.g. for the other lanterns, I used wrapping paper, cut out rectangles instead of stars and even used woolen threads to tie them up. I made these last year all by myself as my son was very small, but I'll bet many preschoolers could make 'em by themselves! P.S. Sorry for the quality of these pictures, these were taken from my humble phone! Follow ThePracticalMom's board Christmas crafts for kids on Pinterest. How beautiful! I can't believe how easy you make it sound to make it too! Very festive lantern and nice tutorial. Thank you for sharing with the Clever Chicks Blog Hop! I hope you’ll join us again next week! Love them! Stopping by while riding The Great Blog Train Chain Linky Climb! So glad you join the train and hope to see you every week! Happy Holidays! so totally cool! I have to do something similar for the grandsons outer space bedroom!! Pretty! Thanks for sharing at the Thoughtful Spot Blog Hop!